The University of East Anglia has been carrying out a study on people in the Eastern area of the UK. The research involved 3,547 men and women. It is alleged that if people play at least 3 hours of the card game Bridge a week, (Mondays), then dementia can be delayed by 17 minutes a year. If they play twice a week, (Mondays and Thursdays), the delay can be as much as 43 minutes. 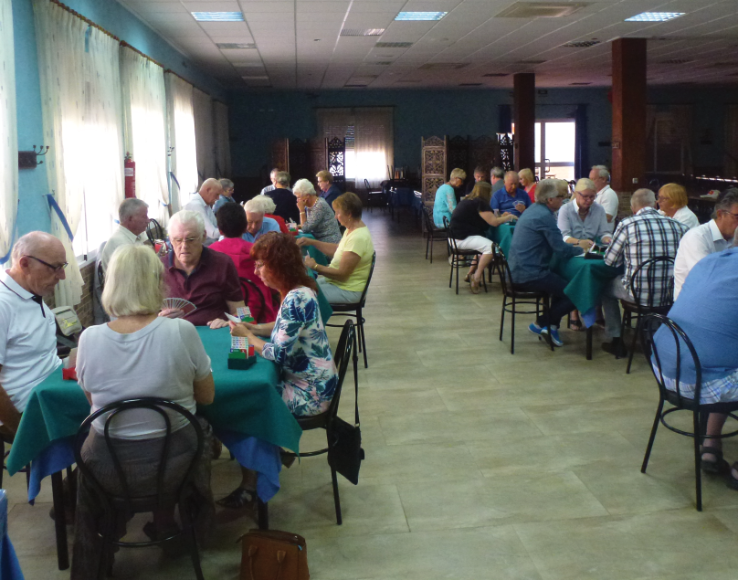 To be able to benefit from this analysis, come along to the Mazarrón Bay Bridge Club (MMBC) at the Playa Grande Hotel, Puerto de Mazarrón on the road between the Puerto and Bolnuevo. 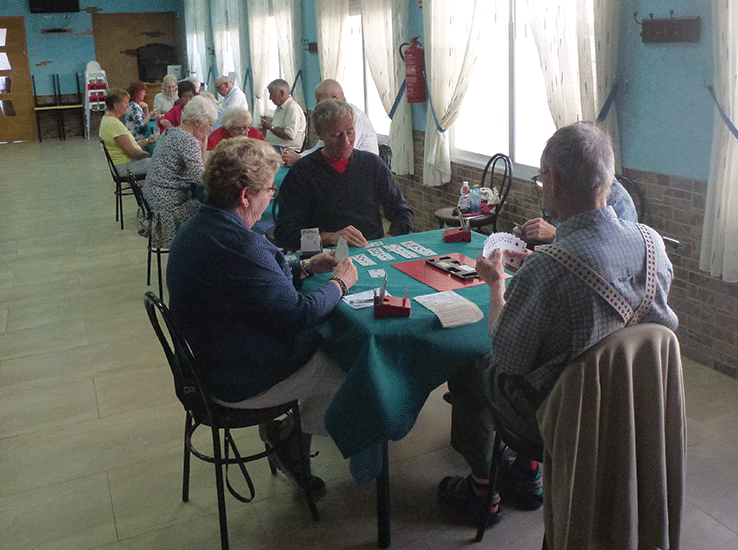 Duplicate Bridge is played on Mondays at 9.30am and on Thursday at the same time. Partners can be arranged for Mondays, but no partners are needed for Thursdays when more Duplicate Bridge is played, but with a more relaxed atmosphere when there is discussion on how to improve one’s game. 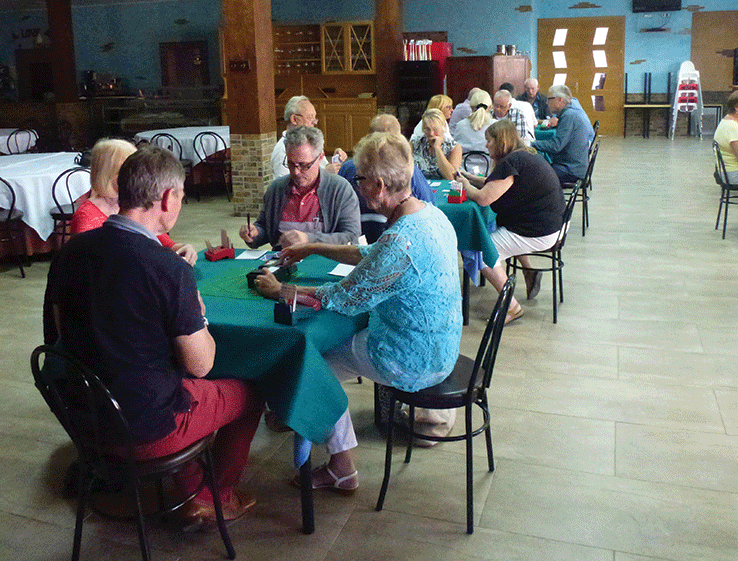 There is a mixture of nationalities; Spanish, English, French, Dutch, Norwegian and there is even a Welshman! Go to the website http://www.bridgewebs.com/mazarrnbay/ (There is no spelling mistake), for more details.